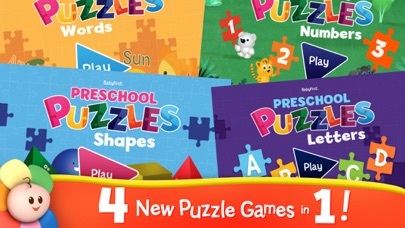 Keep your child growing, giggling and discovering with over 100 puzzles made just for them! Perfect for toddlers, puzzles can help build confidence as little ones put the pieces together -- and these aren't just ordinary puzzles! 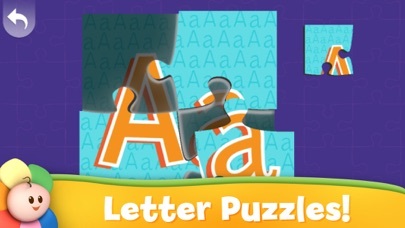 Explore counting, spelling, ABCs and shapes with this special puzzle app specifically for preschool learning! 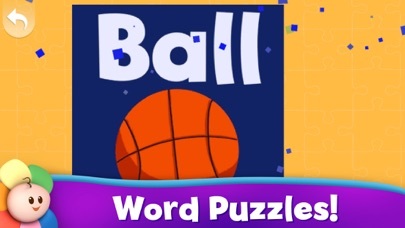 Features: - Over 100 different puzzles to solve! 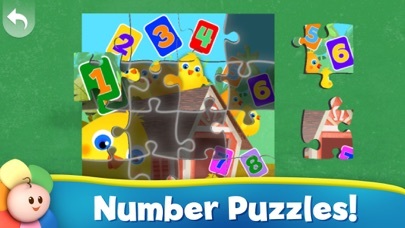 - 3 difficulty levels to keep kids challenged - Fun animal puzzles of animated ducks, teddy bears, bunnies and more! - Puzzles featuring beloved TV characters from BabyFirst - Fun sounds and music - Encouragement and feedback to boost confidence About BabyFirst: BabyFirst is a global TV network made just for babies, toddlers and parents. Developed by educational experts, all BabyFirst content is designed to introduce babies to basic building blocks from numbers and language to music and art. Look for BabyFirst in the U.S. on Comcast, DIRECTV, Dish Network, AT&T U-verse, and more. www.babyfirsttv.com To find more trusted applications from the BabyFirst family of apps, search "BF123" in the App Store.